May 2-8 “Children’s Book Week”: An annual event sponsored by the Children’s Book Council to encourage the enjoyment of reading for young people. Call 1-800-999-2160, email info@cbcbooks.org. See www.bookweekonline.com. May 5 “Belonging: National Day to End Bullying”: This annual event is put on by the Boys and Girls Clubs of Canada. See www.bgccan.com. May 7 “Free Comic Book Day”: Each year, independent comic book stores around the world give out free comic books to children. Call Diamond Comic Distributors 410-560-7100. See www.comicshoplocator.com. May 7 “National Babysitter’s Day”: To give babysitters appreciation and special recognition for their quality child care. Call Barbara Baldwin 210-695-9838, email bbaldwin@satx.rr.com. See www.safetywhys.com. May 8 “Mother’s Day”: The second Sunday in May. The first celebrations in honour of mothers were held in the spring in ancient Greece. They paid tribute to Rhea, the Mother of the Gods. In 1907 Anna Jarvis in Philadelphia, PA asked her church to hold a service in memory of all mothers on the anniversary of her mother’s death. She later began a letter-writing campaign to create a Mother’s Day observance. May 8-14 “Salute to 35+ Moms Week”: Motherhood is challenging at any age, and if you become a mom when you’re 35 or older, it can be quite an adjustment. For info, email Robin Gorman Newman at rgnewman@optonline.net. See www.motherhoodlater.com. May 12-23 “Canadian Tulip Festival”: The world’s largest festival with more than 3 million tulips in bloom in Ottawa. The event grew out of a thank-you gift of bulbs from the Dutch Royal Family. Call 613-567-5757 or 1-800-66-TULIP. Email info@tulipfestival.ca. Web: www.tulipfestival.ca. May 15 “MS Walk”: The WALK is a critical part of the MS Society’s fundraising efforts and is a significant program in funding research towards a cure for Multiple Sclerosis. Takes place in cities across Canada. See www.mswalks.ca. May 23 “Victoria Day”: Commemorates the birth of Queen Victoria on May 24th 1819. It is a national holiday in Canada. Observed on the first Monday preceding May 25th. May 30 “Memorial Day (US)”: Legal public holiday in the United States, in honour of those who have died in battle. Some changes they may be a coming! Last week the Minister of Heritage Mélanie Joly announced there will be a review of the Broadcast Act., and even the C.R.T.C. itself. Could this mean the end of the C.R.T.C. as we know it? Could it mean a reduction or elimination of the MAPL system to enable Canadian radio stations to more evening compete against all the other services that operate outside of these out dated rules? Here is the article that appeared in the Globe and Mail over the weekend (23 April 2016). The Heritage Minister announces the launch of public consultations with consumers and content creators with an aim to bring Canada’s cultural properties – everything from the Broadcast Act to the C.R.T.C. – into the digital age. Ottawa is ready to blow up the rules governing Canada’s $48-billion broadcasting, media and cultural industries, arguing that decades of technological changes and government inaction have left a broken system in need of a revolution. 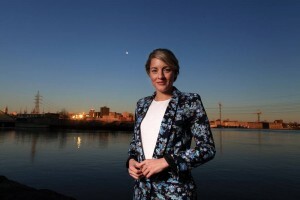 “Everything is on the table,” Heritage Minister Mélanie Joly told The Globe and Mail. Announcing the launch of consultations with consumers and creators of cultural content, Ms. Joly said she is willing to change laws such as the Broadcasting Act and the Telecommunications Act, modify the mandates of the C.R.T.C. and the CBC, and create new laws or agencies, as needed. The scale of the coming upheaval hasn’t been seen in 25 years, since the Mulroney government revised the Broadcasting Act in 1991 at a time when no one could foresee the arrival of YouTube, Netflix and iTunes. Canada’s cultural industries account for more than 600,000 jobs and generate 3 per cent of Canada’s GDP, or $47.7-billion a year. As Canadian Heritage likes to point out, that is double the size of Canada’s agricultural, fisheries and forestry sectors combined. The cultural sector is facing an unprecedented level of upheaval, as foreign websites that offer everything from movies to music to information shake up Canada’s broadcasters, producers, publishers and video-game developers. Canadian Radio-television and Telecommunications Commission Act, which lays out the mandate for Canada’s telecom regulator, the CRTC. Read more about this on the Canadian Heritage website here. The Minister of Canadian Heritage has launched a pre-consultation process designed to get public feedback on the issues of importance to Canadians surrounding content creation, discovery and export in a digital world. Following the pre-consultations, the Department of Canadian Heritage will develop a scoping document to guide the consultations. You are being asked to help develop the framework for the consultations by completing an online survey which is open until 20 May. Expect public hearings later in 2016.